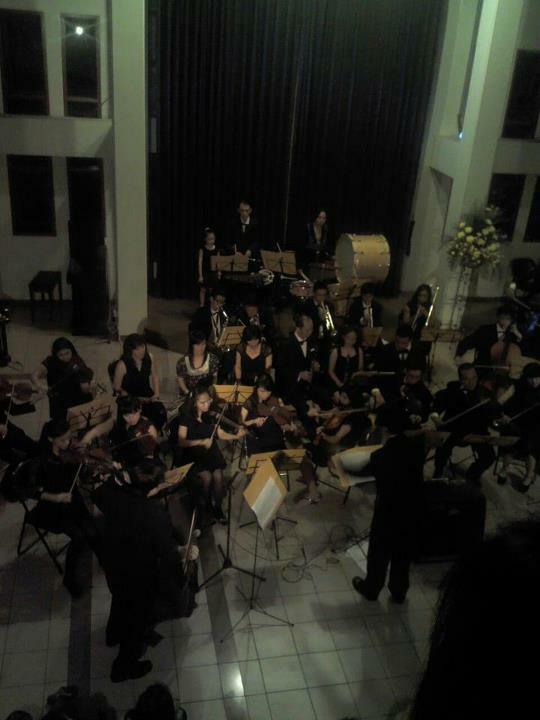 We started this group as a small chamber orchestra on August 2005. Over time, more and more people joined this orchestra, and the title "Chamber Orchestra" does not longer fit for its size. Last August, 35 members of the Orchestra showcased an evening concert, performing all-time favourites from the classical music: Bach's Gavotte, Beethoven's Minuet in G, Schubert's Serenade, and similar compositions. All of the works performed, were rearranged for a more complete instrumentation provided by the orchestra (many of the pieces were written for much simpler groups or even solo performance).